The Belair Hotel has been recently renovated and is well worth a visit. It is modern and stylish, with plenty of comfy lounges, a warm fire for the winter months and lovely views of the Adelaide Hills. In the bar /bistro you can choose to sit in the dining area, on the large communal tables or in the funky lounge area. There is a decent menu in the bistro with all the expected burgers, steaks and schnitzels along with some more exotic items such as Quinoa Salad or Crispy skinned salmon. There is also a pizza menu, available for dine in or take-away. If you have any room after you meal check out the yummy dessert menu. There is also a very good wine list to keep Mum & Dad happy and some absolutely luscious sounding cocktails! Vegetarian meals are denoted on the menu and The Belair Hotel caters well to special dietary requirements by offering a separate gluten, dairy and nut free menu. The kid’s menu has all the usuals plus something not often seen – a healthy option! Wraps with chicken strips, lettuce, cheese and tomato with carrot sticks. Kids also have their own dessert menu. There is a dedicated child’s play area alongside one end of the dining area, which allows parents to keep an eye on the kids while dining. 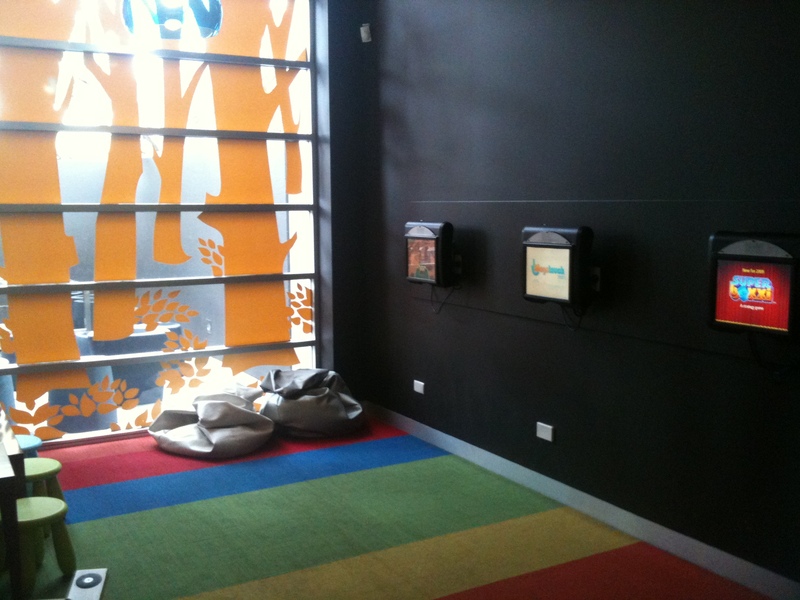 There are toys, tables & chairs, beanbags and video games. Outside you will find a playground for the kids that will allow them to burn of some energy before or after you meal. This is not visible from all tables, so its best to request a table nearby if your kids are likely to want to stay out there for a while. Colouring and activity packs are available for purchase for $2.50, to further keep the kids entertained. Kids Eat Free at Lunch time on Sunday’s, so it’s a great place to go for a family outing on the weekend. Overall the Belair Hotel is very child friendly and is highly recommended.